Those Pre-Pro Whiskey Men! : Fridolin Madlener Gave the World “Fig Rye"
Fridolin Madlener Gave the World “Fig Rye"
Madlener’s story begins in Uberlingen, Baden, Germany with his birth in 1835. His father was a miller by trade but his parents early encouraged him to become a merchant. His early education was in German schools. Apparently in his late teens or early twenties, Fridolin left his homeland for the United States, settling in Chicago which had a large German immigrant population. He was one of the first students at the Dyenforth Business College there, a school that had been founded by a Prussian émigré family in 1857. 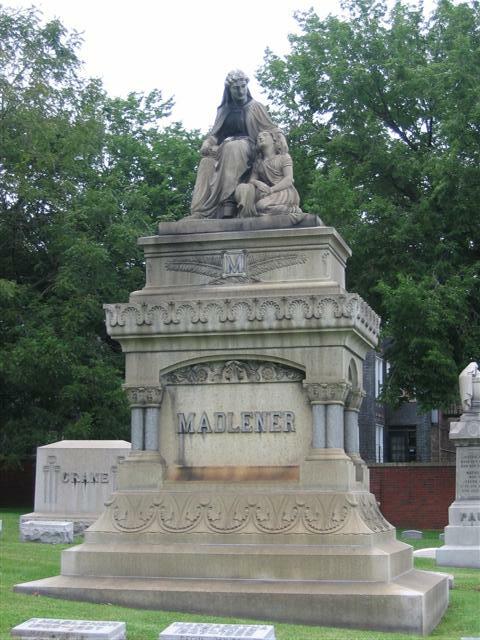 Madlener, according to Chicago biographies, embarked on his business career in 1858 at the age of 23. 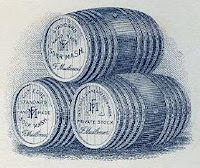 He appears to have gone to work in the liquor trade and later claimed the origins of his own firm, Fridolin Madlener, Inc., back to 1853, although it did not show up in Chicago directories until later. Success apparently came swiftly. According to one account: “Before long he was counted among Chicago’s leading merchants of liquor....” In 1866, when he was 31 years old, he married Margaretha Blatz, the daughter of the Milwaukee beer baron, Albert Blatz. She was 19, 12 years his junior. The Madeleners had three children: Josephine who died in infancy, Albert F. and Angelina. The first recorded address for Madlener’s company was at 62-64 1/2 West Lake Street where the firm resided until 1879 when he moved to 147-149 Lake, as shown on his letterhead. There Madlener indicates that he is a distiller. More accurately he was a rectifier, that is a blender of whiskeys. 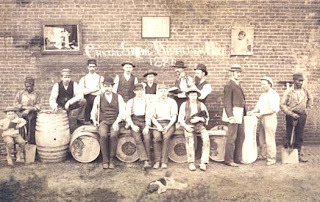 At one point, however, he likely had a involvement with the Crystal Springs Distillery in Louisville, Kentucky, whose workers are shown here. That distillery was providing him with product for his blends. 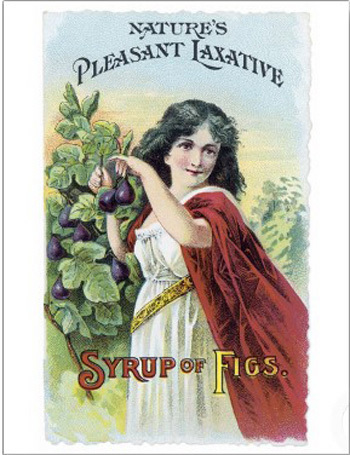 For years during the 19th Century the general public held the idea that figs possessed a particularly valuable laxative effect, a belief largely debunked by the medical profession. 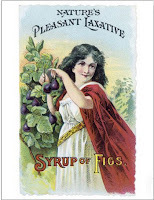 Patent medicine manufacturers, capitalizing on the popular fallacy, concocted and sold multiple brands of “Syrup of Figs,” merchandising the potion as combating habitual constipation. Madlener seized on the popularity of these nostrums, melded it with the rye whiskey he was bottling and, eureka!, Fig Rye was born. Madlener was not content with merchandising Fig Rye simply as a laxative. 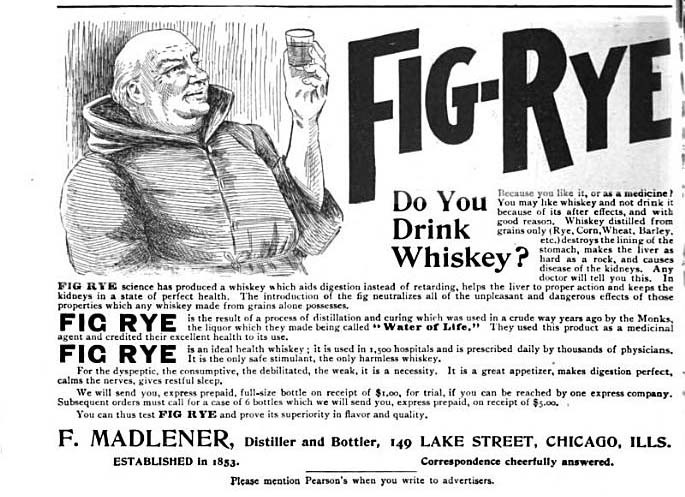 His advertising touted it as “an ideal health whiskey.” Ordinary whiskey, he claimed, was distilled from grains only and “destroys the lining of the stomach, makes the liver hard as a rock, and causes disease of the kidneys.” By contrast, Fig Rye neutralized all those bad effects and was recommended for “the dyspeptic, the consumptive, the debilitated, the weak....” According to one Madlener ad, Fig Rye was used in 1,500 hospitals across America and prescribed daily by thousands of doctors. 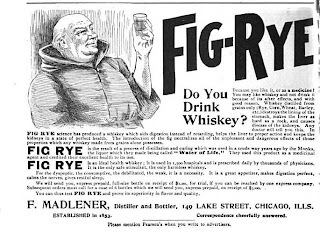 health claims such as those posited by Madlener for Fig Rye were common as more than one whiskey man decided that selling liquor as medicine was a good merchandising ploy. 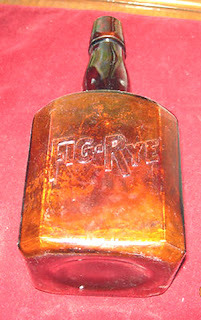 The firm advertised Fig Rye vigorously in national magazines and sold it by mail all across America. One Medlener ad claimed that 100,000 bottles were sold annually. Fridolin, the German immigrant boy, became very rich. Perhaps with the encouragement of his Milwaukee father-in-law, he then branched out into owning and operating a brewery. He also was very active in the large German-American community in Chicago, known for his support of the city’s Turnvereins (gymnastic associations) and Sangvereins (singing societies). As he aged Madlener prepared his only son, Albert, to take over the business. He sent Albert to the prestigious Latin School of Chicago, then to Yale University and finally to serve a wine apprenticeship in Germany. Albert returned to assist his father in managing the liquor business. 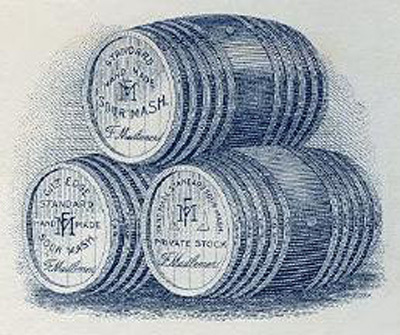 After the senior Madlener died in January 1897, his son took over the family liquor business and continued vigorously promoting Fig Rye. Albert married a year after Fridolin’s death. His bride was Elsa Seipp, the daughter of a well-known Chicago brewer. 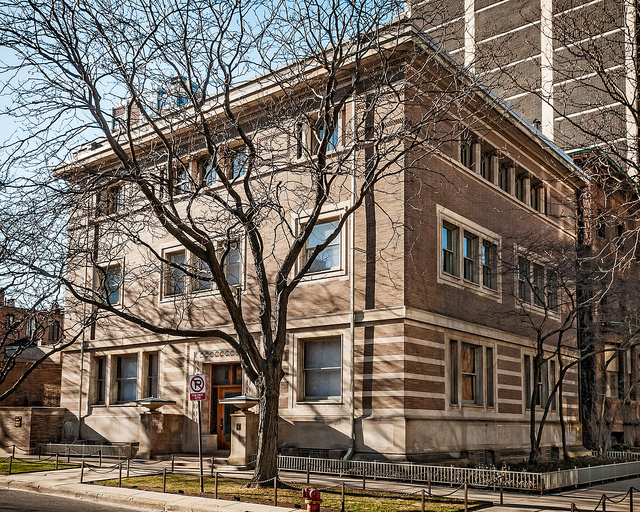 Three years later, as Elsa was expecting their first child, Albert commissioned the construction of a grand new house on West Burton Place in Chicago’s Gold Coast. Shown here the Madlener House, as it still is known, was completed in 1902. 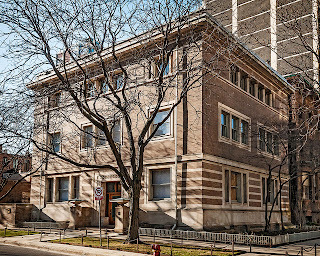 On the the National Register of Historic Homes, the mansion can be characterized as “the house Fig Rye built.” By 1913 Albert had sold the liquor business to be succeeded by the firm of Roehling & Schultz. The Madlener firm, however, continued to be listed in Chicago directories for several more years. Fridolin was remembered in Chicago as a genial, outgoing man, with a wide range of friends that included persons of all races and creeds. One obituary opined:“For everywhere and at every time a man of Fridolin Madlener’s callibre is appreciated.” The man who gave the world Fig Rye is buried in Chicago’s Graceland Cemetery with Margaretha, who died in 1929. Their graves are side by side beneath a huge monument bearing their family name and ornamentation that looks, at least to me, like hanging figs. Labels: Albert F. Madlener, Fig Rye, Fridolin Madlener, Inc.
Over a period of almost three decades, I have written more than 1,000 articles for collector magazines and newsletters in the United States, Canada, the United Kingdom, and Australia. The subjects generally are those signaled by the title of this site. Although many of my articles can be found on several websites whose links are referenced here, and I will be continuing to write “in hard copy,” this blog will provide an outlet for research results that are too short or of such narrowly-focused interest as to preclude their publication elsewhere. Through the magic of the Internet -- and judicious use of key words -- I am hopeful that collectors, genealogy buffs, and those interested in arcane tidbits of history will find their way to this site and receive information not readily available elsewhere.